Monitoring consumption (electrical, heating, water, gas etc.) 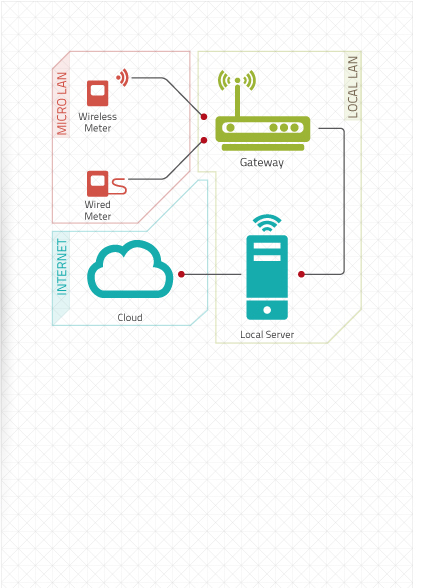 by building a micro-network of meters that talk with the local network and the Internet through an intelligent gateway that acts as a bridge. Essentially a wireless micro-network which is completely NOT INVASIVE.